Frankly, I think "debate" is pushing it. As far as I can tell, stainless is the uncontested ruler of the kitchen realm. And I get it. It makes you feel like a gourmet chef, never has an "orange peel " texture, and has anti-aging properties because you can't really tell if an appliance is 10 years old or 10 days. Plus, HGTV has me convinced that if a kitchen doesn't have stainless steel appliances no one will buy it. 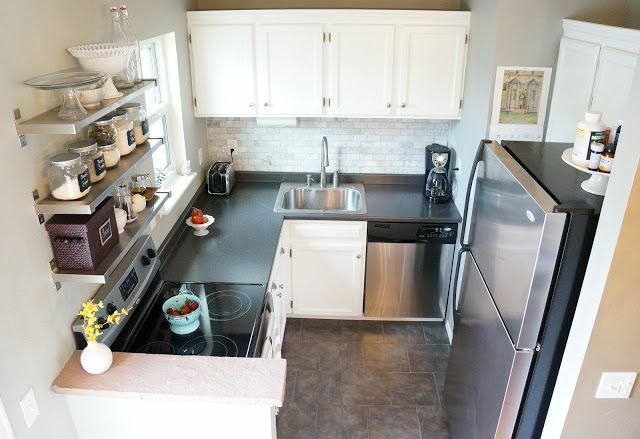 Not a single House Hunters episode has escaped a "Oh look, stainless steel!" type comment or "stainless" check box on the wishlist. So I am pretty terrified that what I am about to say might get me beat up in a back alley tomorrow, but here goes... I don't want stainless steel appliances for our current kitchen. Gasp. We are getting white cabinets. 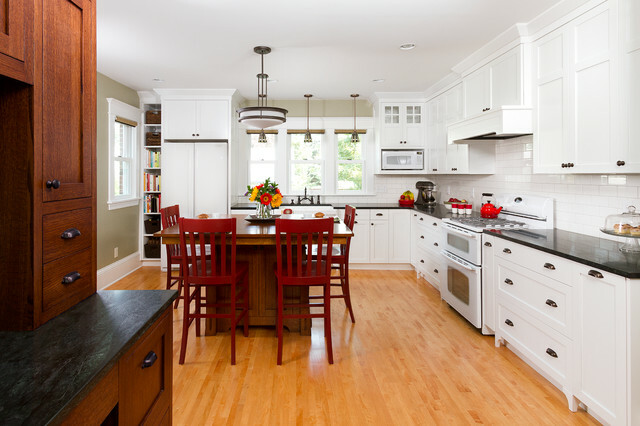 No one can object to a nice clean white kitchen. 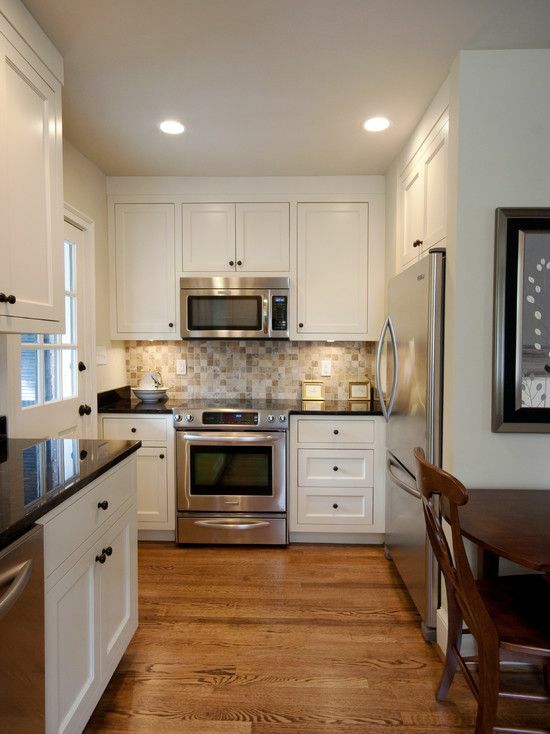 And if you are bored, when you buy the house you can paint the cabinets trendy colors. Enjoy yourself. Our kitchen is so small, and laid out in such a way that there will be very short runs of said white cabinets. The kitchen is a kinda chunky little guy. 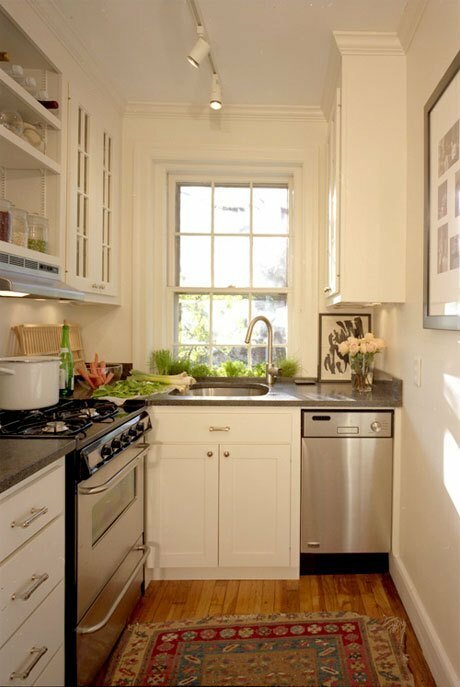 So to break up that visual even more with big blocks of stainless steel would make the kitchen feel smaller, or at the very least, clunky. Obviously, I would prefer all possible matching cabinet door panels to be applied to the appliances. 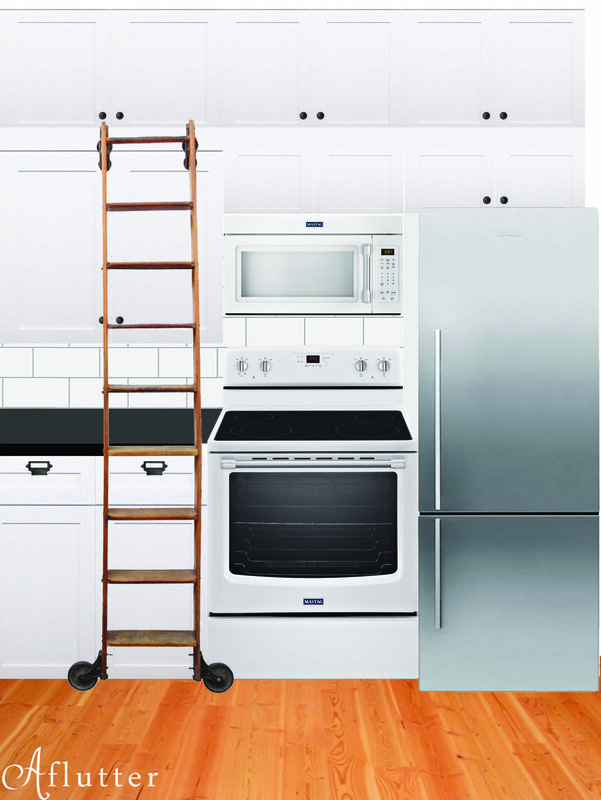 But its expensive, and most likely unworkable for the tall, skinny European style refrigerators we need. Getting a bit classier, right? I mean, those are viking appliances right there; the price tag alone tells me its fancy. Time for a POC (proof of concept, duh. Ansel taught me that "abreve" so I can be all slick and techy like). 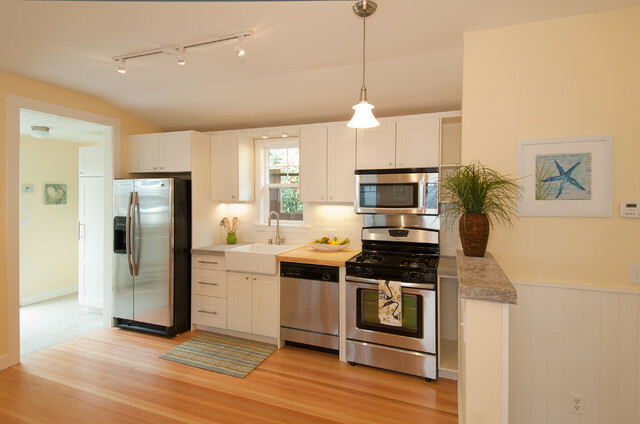 Voila, a mock-up of what one view of our kitchen might sorta look like using white appliances with stainless accents. I definitely don't feel like all stainless is going to work. 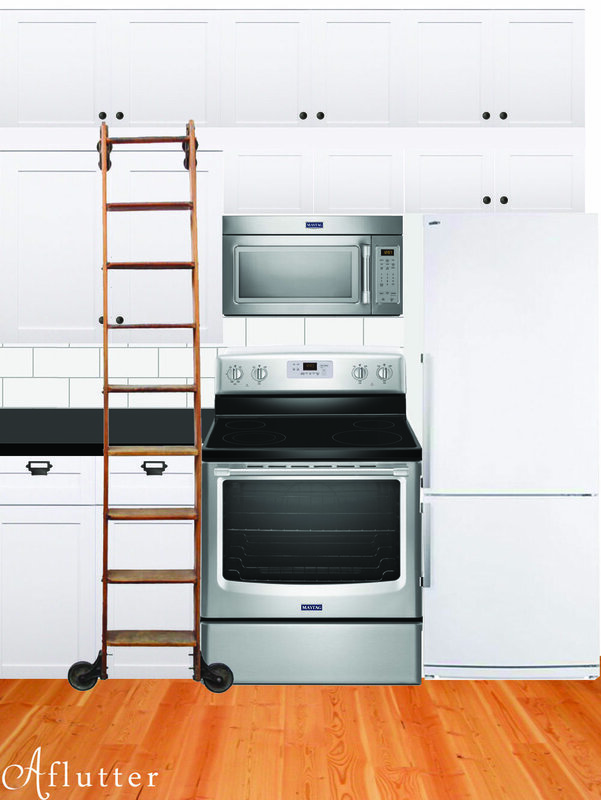 The kitchen will just be two Tetris blocks, one white and one stainless. But I could be convinced to do either of these next options. 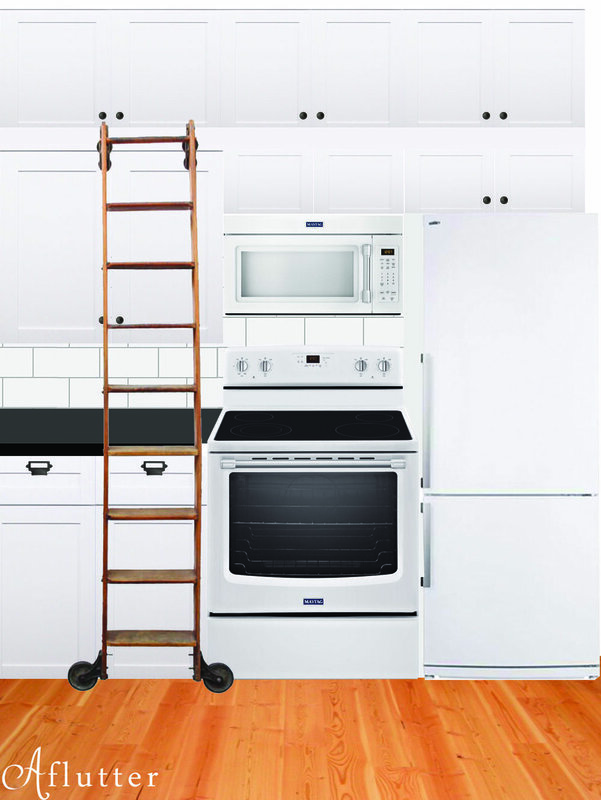 Mostly because either fridge is from a different manufacturer than all the other appliances, so it wouldn't be a perfect match in the styling, or (God forbid) the shade of white between the white range and white fridge. And if we mixed and matched, then we too could have a piece of the all mighty stainless. Here is one last factor to toss into the equation. 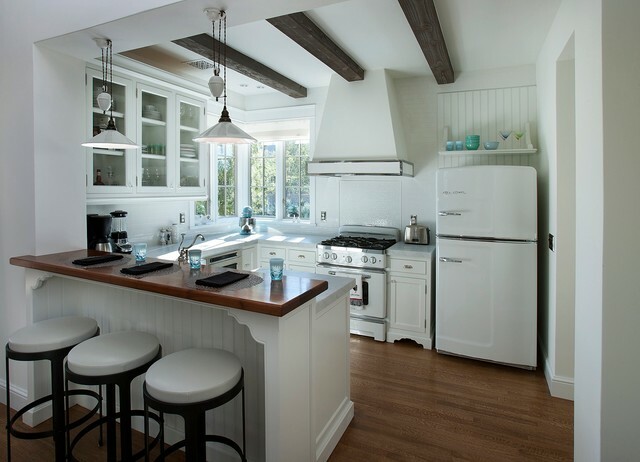 If I went with all white appliances, we would save roughly $500. Which in the grand scheme of the kitchen remodel, isn't a huge sum, but hey, that savings covers the microwave and all our cabinet hardware. Off to have wine with my mama on the couch! Toodles.